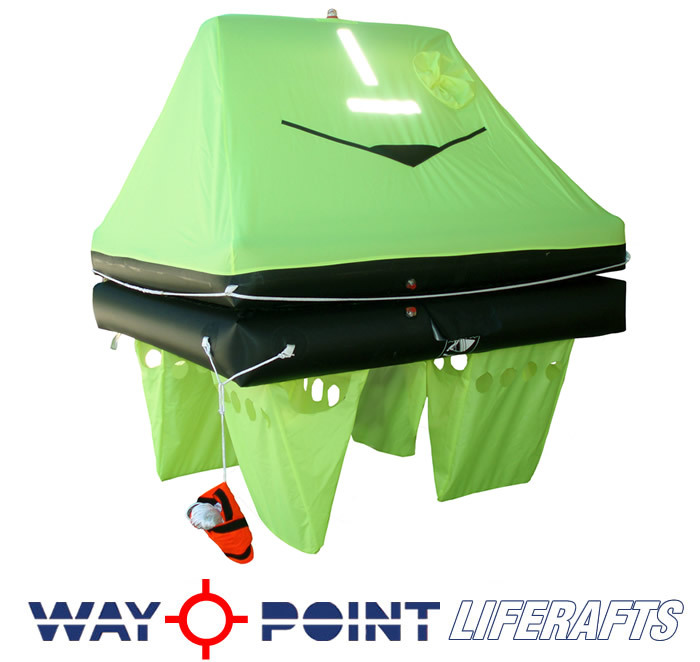 The Waypoint Offshore Plus liferaft is one of the very few, so called ‘’ Offshore ‘’ liferafts, that is made for genuine Offshore Sea conditions (Green water). As all of our rafts, it is built with the highest standards, using the best materials, by people who care about their work. 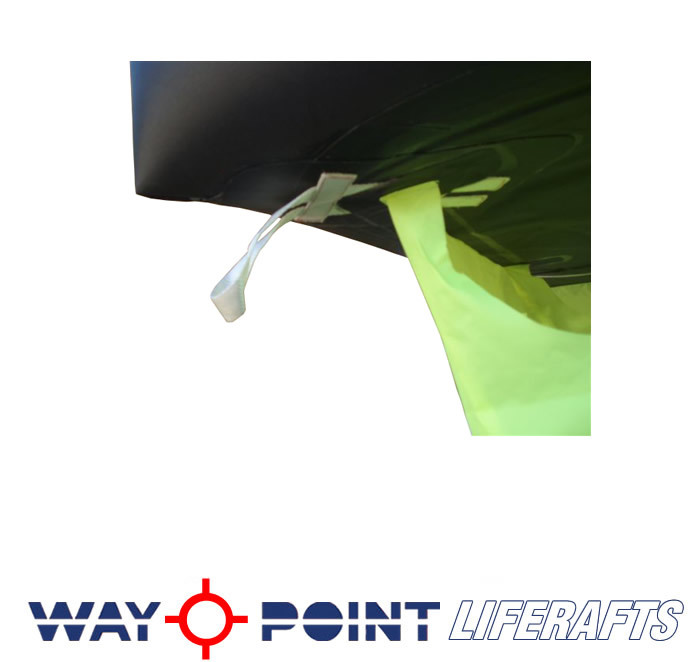 If compared with other makes, one can clearly see the features and benefits of the Waypoint Offshore (quality of materials, larger water pockets, lights, reflective tape etc.). The use of a SOLAS / MED / MCA approved inflation system, the heart of the liferaft, ensures that it will function under any conditions when you really need it. •	Superb fabric, U.K. made, HT nylon coated with PU, made in the U.K. ( Almost indefinite life ) complies with the ISO 9650-3 directive for fabric as used for the ISO Ocean liferafts. •	Super Light weight construction from as little as 19 kg. for a 4 man in a valise. •	Double floor with thermal insulation. 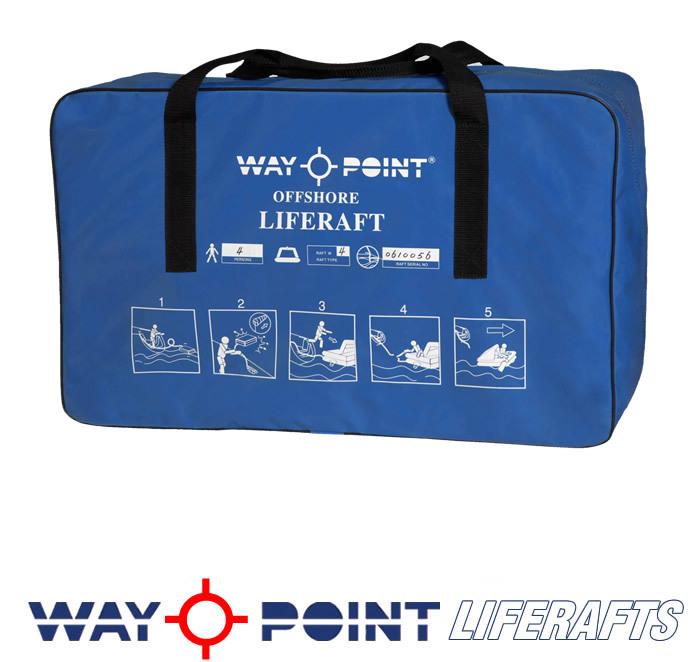 •	4 large, (55 litres each) water ballast pockets underneath, make it very stable when boarding and in rough sea conditions. 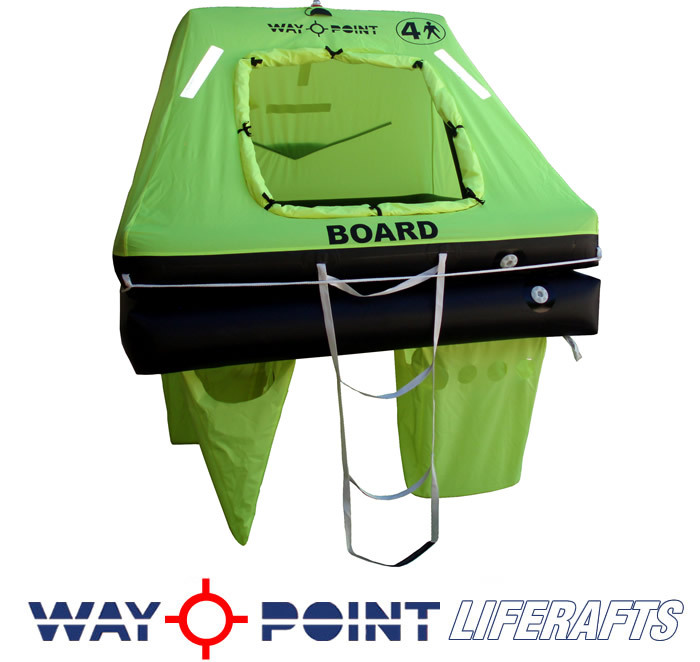 •	Bright Fluo yellow self erecting canopy that can be spotted easily out at sea, which features a large entrance to facilitate boarding even for the larger persons with all their wet gear on. •	External and internal LED lights with lithium battery. •	SOLAS / MED approved Reflective tape on the canopy. •	3 year Service period. 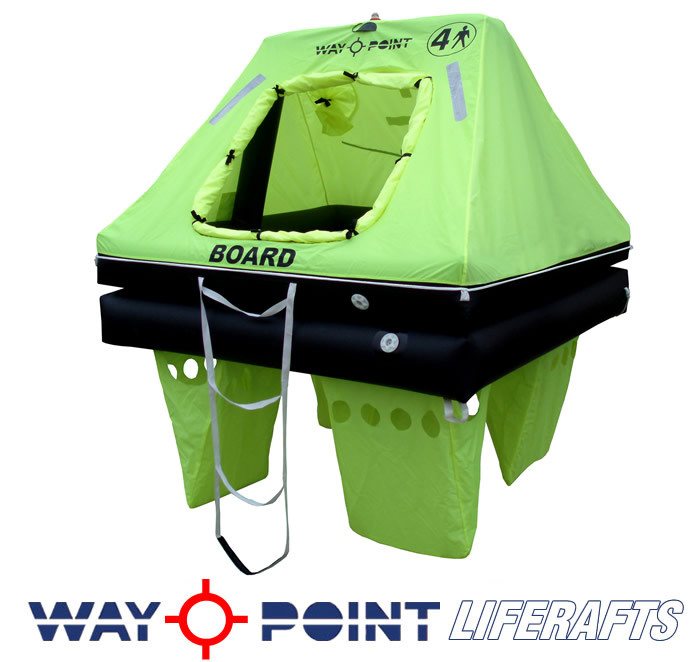 The Waypoint Offshore is vacuum packed to add greater protection from the elements. This listing has been viewed 12689 times.